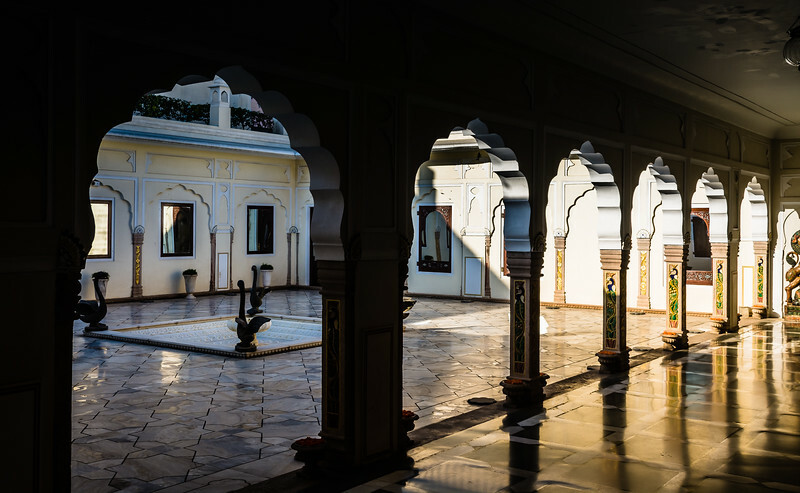 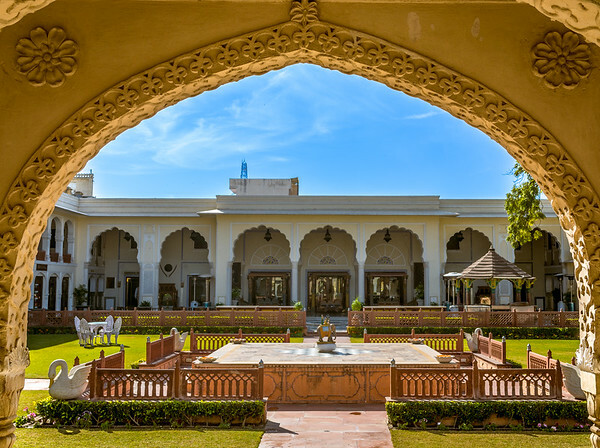 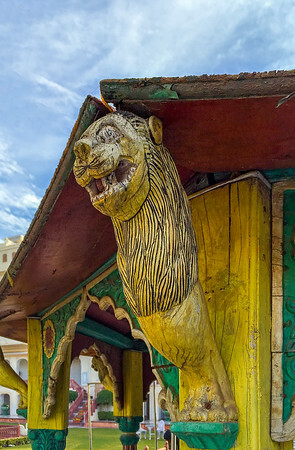 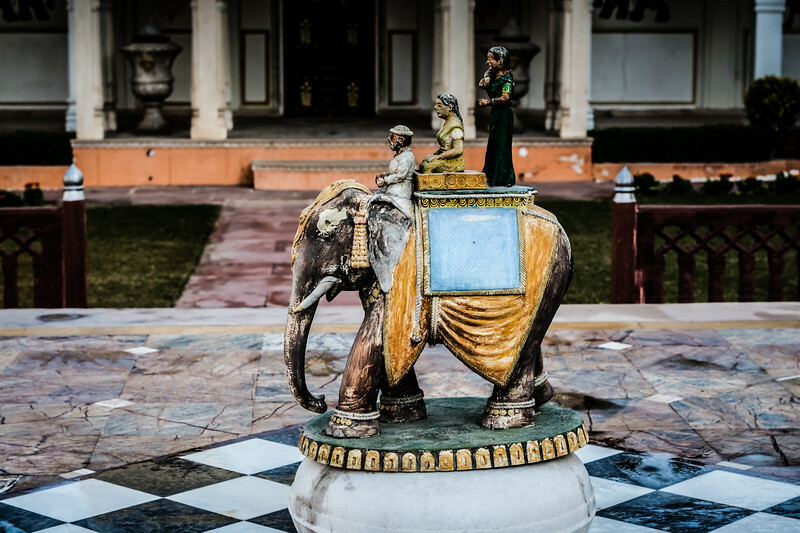 The Raj Palace is recognized for its unique product as it is one of the only Places lived by the Maharajah that has been restored to its original glory and charm. 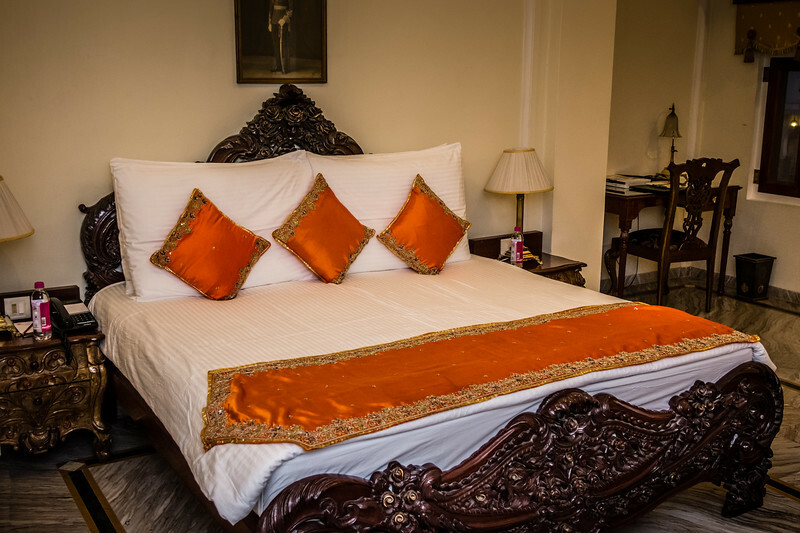 The hotel features deluxe furnishings and art throughout. 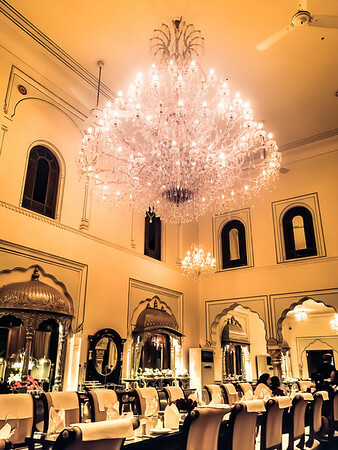 Dining options include a posh restaurant featuring a vaulted ceiling and chandelier, a kebab restaurant, a coffee shop and bar. 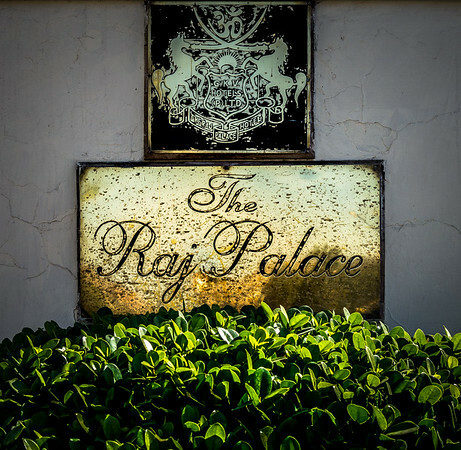 There's a spa, a puppet theater, an outdoor pool and a gym. 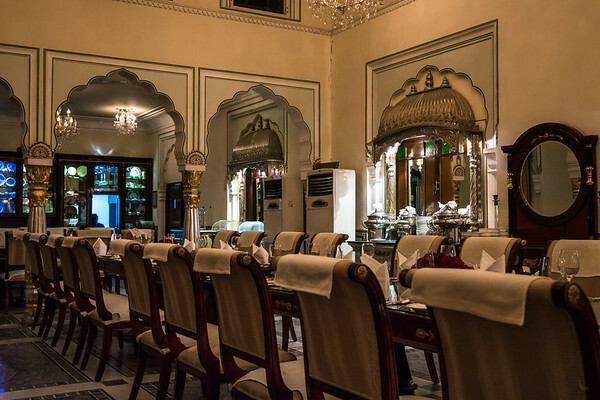 Set in a 16th-century Maharajan palace, this luxury heritage hotel is 1.6 km from Hawa Mahal and 1.8 km from the City Palace complex. 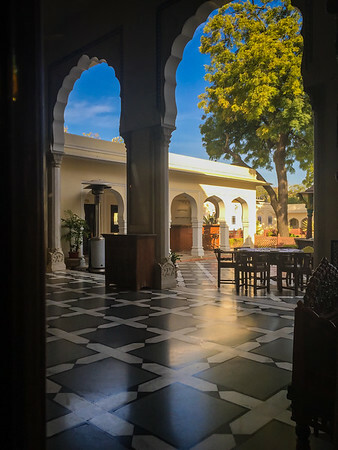 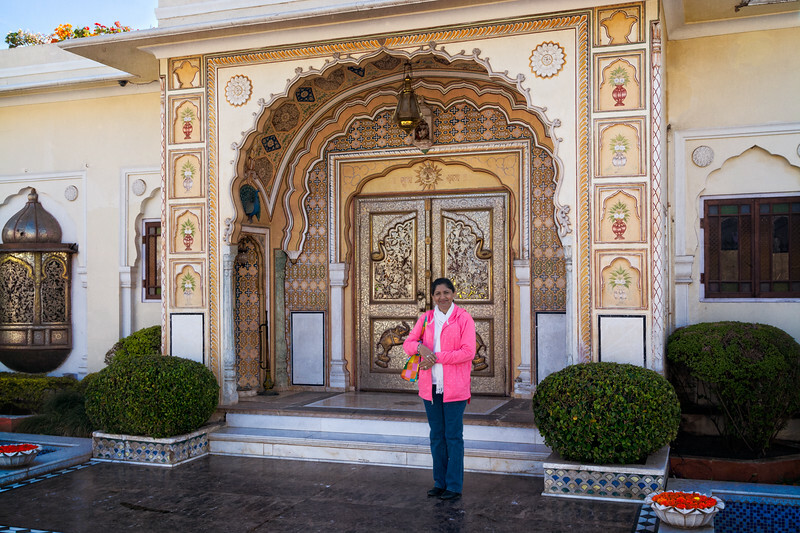 Raj Palace, Jaipur, India - Great place to stay if you want to experience old India architecture. 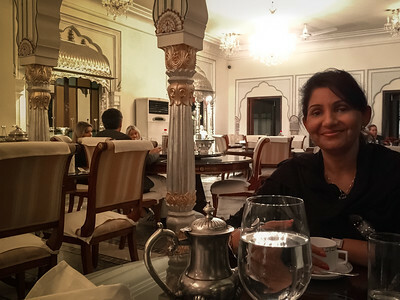 along with good service. 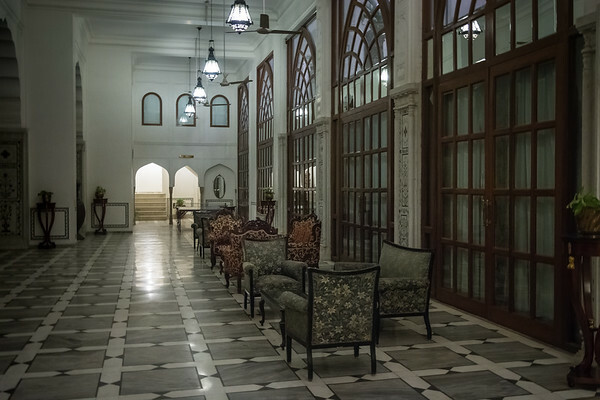 This was waiting for us in our room at the Raj Palace. 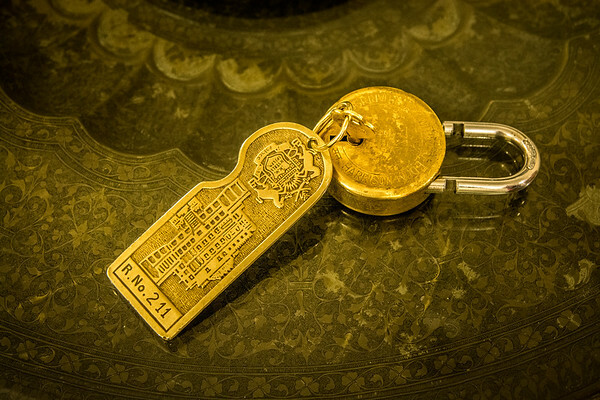 When you leave the hotel you give the front desk the key. 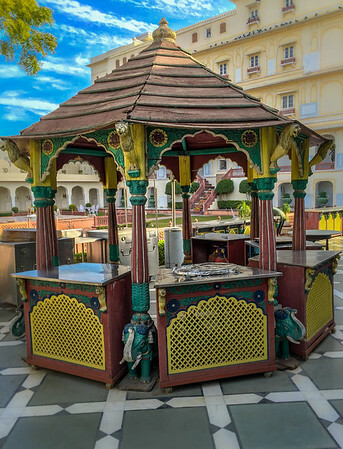 Raj Palace, Jaipur India. 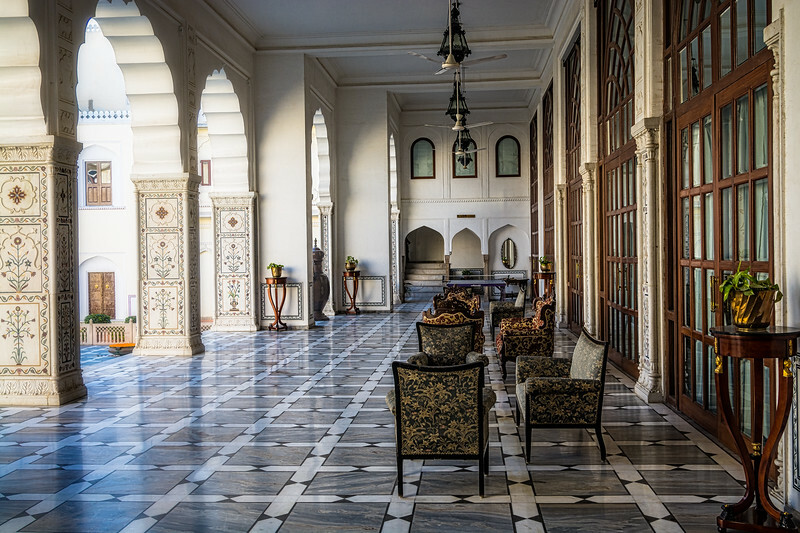 To the left is an open court yard, Raj Palace, Jaipur, India. 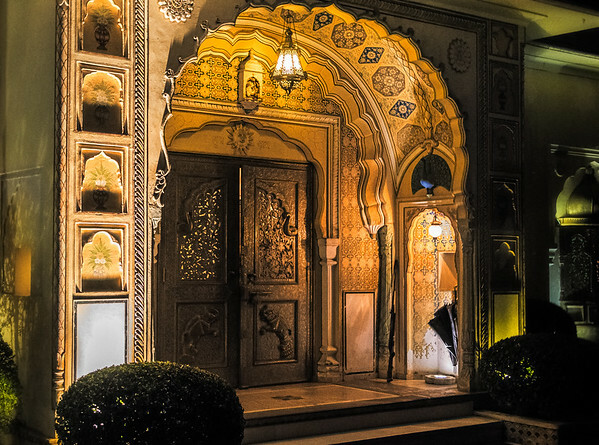 I have this same picture taken at night. 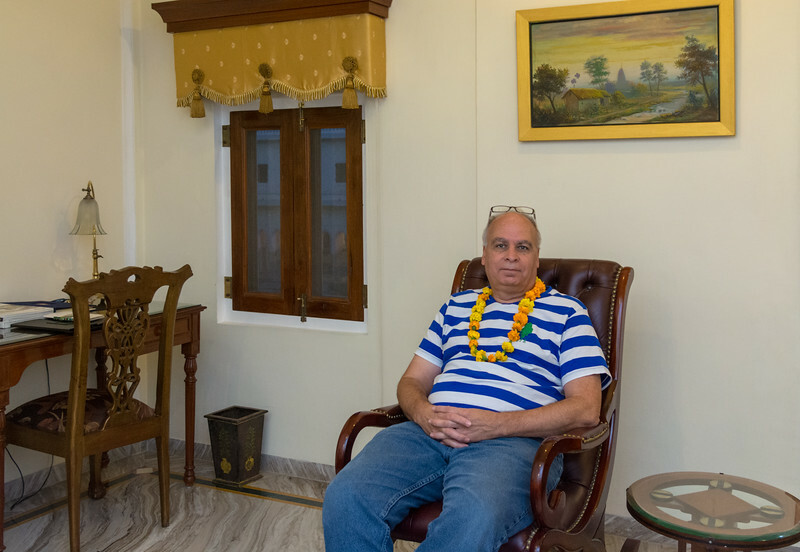 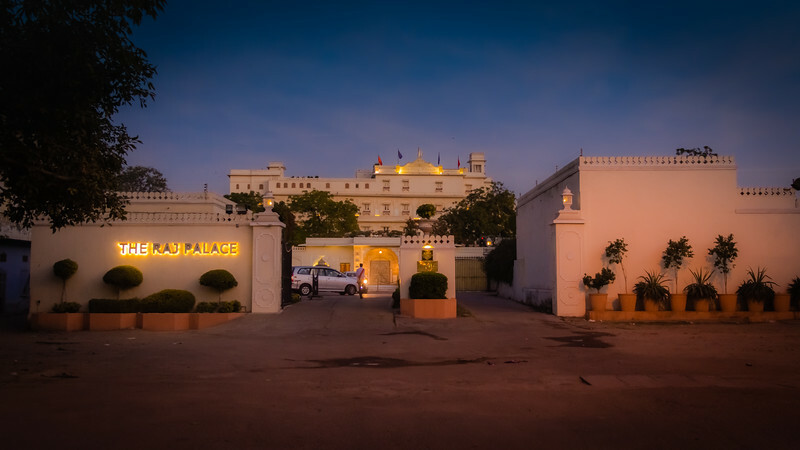 It took around 12 years to restore it and today it is one of the best hotels in Jaipur. 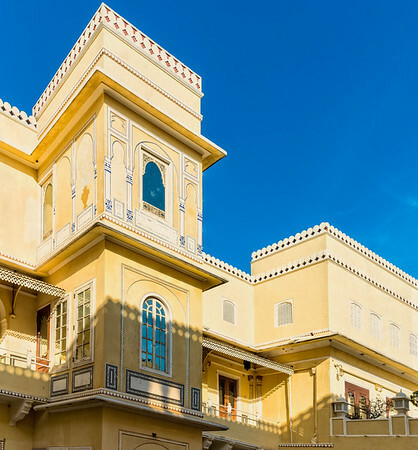 The Raj Palace in Jaipur Rajasthan, India is more than two and a half centuries old palace converted into a grand heritage hotel. 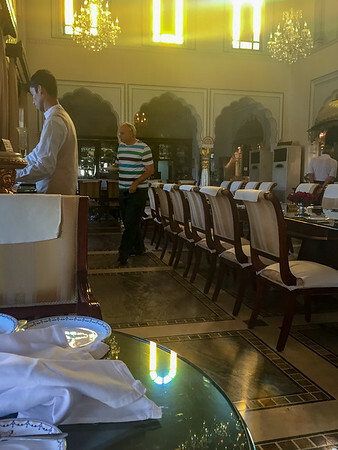 Breakfast in The Raj Palace Swapna Mahal restaurant.